With St Patrick’s Day just around the corner, let’s all make some plans for this fun celebration where everyone is Irish for the week! No city in the world does St. Patrick’s Day quite like Dallas. 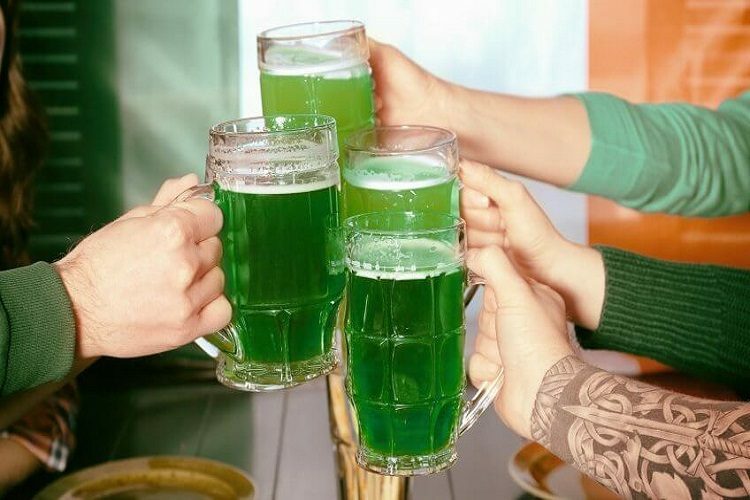 With our excellent craft green beer, and lots of festivities, you won’t find a richer, greener celebration of St. Patrick’s Day this side of Ireland. 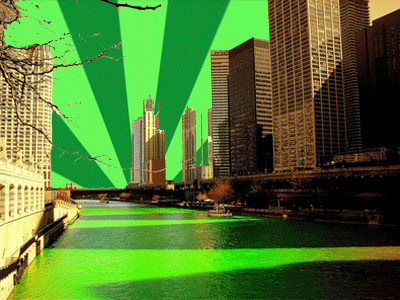 You don’t have to break your budget to enjoy St. Patrick’s Day. Eat, drink and gobble up these freebies for less this St. Patrick’s Day. Arby’s – Slurp down a Mint Chocolate Swirl shake. Bakers Square – The Mint Brownie Blast is a pie that dresses in green for the occasion, and Baker’s Square will give you a slice for free — or a slice of any other pie — with any menu purchase the day before St. Paddy’s and all Wednesdays in general. Bar Louie – Shamrock It Out with $4 green beer and $6 Jameson. Baskin Robbins – On March 17, join the Bennigan’s Blarney Blast, which is an Irish-themed homage to the Emerald Island. Not only can you indulge in Eats & Distillations, which is the name the chain is giving to its Irish food, cocktails and beer bonanza, but you can also try your Irish luck at Pot O’ Gold, a contest that could land you free Monte Cristos for a year. Bennigan’s – Celebrate with live music, contests and Irish-themed food and drinks, including Irish coffee and Irish mules. Beef O’ Brady’s – Corned Beef & Cabbage, Fish ‘n Chips and other Irish-themed specials available March 14-17. Bruegger’s Bagels – On March 16 and 17, you can feast upon freshly baked batches of green bagels March 16-17, 2017! Also, there is an offer for $2 off a Green Big Bagel Bundle, which includes 13 bagels of any variety and two tubs of cream cheese. You must use this coupon. Bruster’s – Do a jig over these two new ice cream flavors: Irish Cream and Mint Fudge Crunch! Bubba Gump Shrimp Co. – Try the new Irish Mule or one of Bubba Gump’s other spring cocktails on March 17. Burger King – Indulge your sweet tooth with an Oreo Mint Shake for just $2.69. Burger King’s OREO Irish Mint Shake and McDonald’s Shamrock Shake are around for a limited time. California Tortilla – Free green chips and queso with any purchase! Carvel – Get down on Cookie O’ Puss. You’ll have to go to your nearest Carvel to find out what that means, but I’m thinking ice cream cake like whoa. Cheeseburger in Paradise – Get a Reuben burger combo for $11.99, a four-leaf clover shake for $6.99 and, of course, a FREE green beer. No coupon code needed. Dairy Queen – The Blizzard of the month is Mint Oreo. Yes! Eat’n Park – Get a St. Paddy’s Shake. Fannie May: Give someone lucky a “Kiss Me, I’m Irish” chocolate card for just $5. When they slide open the card, five gourmet chocolates will be revealed. Fuddruckers – Take advantage of two St. Patrick’s Day deals: * Beer-battered fish and chips with wedge-cut fries and tartar sauce or * Reuben Burger combo with green domestic beer for $11.99 and a Four Leaf Clover Shake for $6.99. The Reuben Burger combo includes a half-pound patty topped with grilled sliced corn beef, Swiss cheese, sauerkraut, and thousand island dressing on marble rye bread, served with wedge cut fries and a 14-ounce green domestic beer. The house-made shake features vanilla ice cream, milk, creme de menthe, and vanilla vodka. Hard Rock Cafe – Speaking of Irish-themed food, Hard Rock Cafe is rocking its limited Guinness Cheeseburger and Irish mules. Krispy Kreme – Get green Original Glazed Doughnuts on St. Patrick’s Day. Why not indulge in an O’Riginal glazed doughnut dyed green. Macaroni Grill – Try Lent specials under 600 calories, such as the folded ravioli pomadoro or the sweet and savory salmon and kale salad. MaggieMoo’s – Receive $5 off a medium or large cake with chocolate cake, cool mint ice cream, chocolate syrup, and vanilla frosting topped with Andes mints. Marble Slab Creamery – Get $5 off a medium or large cake with chocolate cake, cool mint ice cream, chocolate syrup, and vanilla frosting topped with Andes mints. McAlister’s Deli – Wear green on Friday, and you’ll get a free green tea. Also, check out the reuben spud; it looks uh-mazing. McCormick & Schmick’s – On St. Patrick’s Day, celebrate with Irish food, beer, and whiskey. McDonald’s – the Shamrock Shake is back for a limited time. Like all McCafe beverages, you can get one for just $2 — or try the McCafé Chocolate Shamrock Shake. Mimi’s Cafe – Go for breakfast to get corned beef brisket hash and eggs, or get corned beef brisket and cabbage for lunch or dinner. Mrs. Fields – Buy St. Patrick’s–themed cookies and get 15% or 20% off. Try your luck with both! On The Border Mexican Grill & Cantina – Get the fiesta going with a Lucky’Rita, which features a classic margarita with a Green Midori Meltdown poured over top with an additional Lucky Shamrock Irish Whiskey Meltdown served on the side. Outback Steakhouse – You can enjoy $5 off two dinner entrees, such as the new Salmon on the Green. Smiley Cookie – Get 10% off any purchase. Smiley Cookies sells adorable shamrock cookies! Ruby Tuesday: St. Patrick’s Day is the last day you can use this coupon to get one adult entree for half price when you buy one at full price. Tim Hortons: Buy any beverage and receive a free mint chip Timbit while supplies last. Village Inn – Indulge in a Mint Brownie Blast pie with chocolate brownies layered with cool mint silk and chocolate mint cookie, drizzled with ganache and topped with whipped cream and milk chocolate. First up, Kohls is offering 20% off sitewide with the code LUCKY20. But you better hurry, this deal ends Monday. Lord and Taylor is also offering 20% off sitewide through Tuesday with the code is SIGNATURE. If you’re looking to shop later in the week, JC Penney is offering an extra 20%off your purchase of $100 dollars or more with code SAVE7. Spencer’s is also offering 20% off one item with LUCKY17. And Cheryl’s is offering 15% off. Just use the code TAKE15. We’ve also found some great St. Patrick’s Day freebies for the whole family. If you go to TheBalance.com, you’ll find links to hundreds of free, printable coloring pages, word search puzzles, worksheets and more.